14k Gold or Sterling Silver Conch Shell Jewelry. 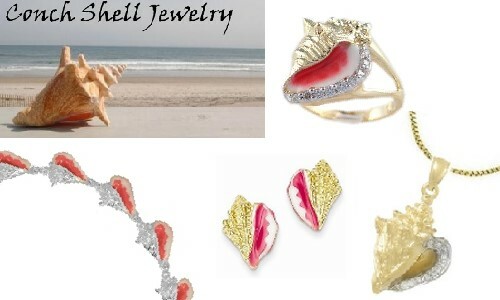 What better way to remember your time spent at the beach this year then with dazzling conch shell jewelry? Available in 14k Gold or Sterling Silver, our enamel, plain or gemstone conch shell designed jewelry is beautiful! From earrings and pendants to charms and bracelets, we something for everyone that loves the sea. Conch Shell Jewelry are fun to wear and make a great addition to any nautical jewelry collection.